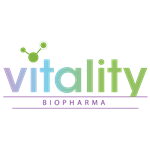 LOS ANGELES, Nov. 21, 2018 (GLOBE NEWSWIRE) -- Vitality Biopharma, Inc. (OTCQB: VBIO) (“Vitality Biopharma”, “Vitality”, or the “Company”), a corporation dedicated to the development of cannabinoid prodrug pharmaceuticals, and to unlocking the power of cannabinoids for the treatment of serious neurological and inflammatory disorders, today announced corporate updates, the appointment of two new directors including a new Chairman of the Board, and the completion of an SEC examination. Mr. Feighan served ten years (1983-1993) as a Member of the United States House of Representatives. He was the co-founder of Century Business Services, Inc. with partners Wayne Huizenga and Michael DeGroote, and served as its initial CEO. In 2004, Mr. Feighan led the IPO of ProCentury Insurance which was acquired by another publicly-traded insurance group in 2008. Mr. Feighan earned his law degree from Cleveland State University in 1978. The Board believes Mr. Feighan’s extensive operational and executive experience with growth companies pursuing business combination transactions, as well as his corporate financing, regulatory and public service experience, will provide the Company with a valuable voice and perspective as the Company continues to develop its business and grow its operations. This news release contains "forward-looking statements" as that term is defined in Section 27(a) of the United States Securities Act of 1933, as amended and Section 21(e) of the Securities Exchange Act of 1934, as amended. Statements in this press release which are not purely historical are forward-looking statements and include any statements regarding beliefs, plans, expectations or intentions regarding the future. Such factors include, among others, the inherent uncertainties associated with new projects and development stage companies, use of proceeds from $8.5M financing, continuing SEC private investigation, resumption of trading of the Company’s common stock on the OTCQB or national exchange, and therapies and treatment regimens to treat the opiate epidemic. These forward-looking statements are made as of the date of this news release, and we assume no obligation to update the forward-looking statements, or to update the reasons why actual results could differ from those projected in the forward-looking statements. Although we believe that any beliefs, plans, expectations and intentions contained in this press release are reasonable, there can be no assurance that any such beliefs, plans, expectations or intentions will prove to be accurate. Investors should consult all of the information set forth herein and should also refer to the risk factors disclosure outlined in our annual report on Form 10-K for the most recent fiscal year, our quarterly reports on Form 10-Q and other periodic reports filed from time-to-time with the Securities and Exchange Commission.